According to the National Golf Foundation, there are 28.6 million golfers in the United States, with Florida having more golf courses than any other state….1,440! Studies show that 80% of players will at some point in their golf playing years experience back pain or suffer from some type of joint pain which will not only make their score suffer but will take all the enjoyment out of the game. More and more people will be traveling to Florida to get away from cold weather, ice and snow and from being stuck indoors for days at a time. Players will be dusting off their golf clubs and making tee times. That being said, golf is not only a tough sport mentally, but physically as well. Regular chiropractic care has not only proven to keep your spine aligned but research shows it can also boost your golf performance. Let’s start with proper posture and spinal alignment. Proper posture is extremely important on and off the golf course. Performing activates with the proper posture is not only essential for our health but for avoiding injuries as well. If your spine is out of alignment you can bet your golf game is as well. Correct posture and spinal alignment will give you a biomechanical advantage over other players. Improving posture will advance your ability to strike the ball with more consistency by improving your range of motion, balance and stability. To swing a golf club our bodies need to perform in a synchronized fashion. A golf swing affects the spine with loading forces that are very rapid, intense and complex. The L4-L5 and L5-S1 discs are subject to the most compression in the spine, research shows that the amount of this load can reach up to eight times our body weight. For some of us, that equals around 1500-2000 lbs each swing, with average golfer makes about 35-45 swings, that is 70,000 lbs placed on your lower discs during each round! Very often this repetitive motion can lead to acute injuries such as bulging discs in the neck and low back, which if left untreated can result in a very debilitating situation. When injured, the disc can place pressure on the spinal cord and/or spinal nerves causing pain, numbness and even weakness of the arms and legs making it very difficult to function day to day. Low back injuries are generally the biggest complaint amongst golfers but injuries to the elbows, wrists & hands, shoulders and knees can happen just as often. When golfers experience any type of injuries, conservative treatment options should be their first choice. There are a number of advanced treatments for golfers, including spinal adjustments, muscle release technique, K-Laser therapy, non-surgical spinal decompression, rehabilitation exercises, anti-inflammatory nutrition and advanced neurological therapies which can drastically improve balance and stability. Spinal adjustments are known to restore spinal mobility and reduce pain. A proper rehabilitation program should be created not only for therapeutic reasons but for injury preventative as well. High powered Class IV Laser therapy to the involved area will enhance the metabolism of local cells, increasing blood flow, reducing pain and swelling thus speeding up the healing time. Spinal decompression helps to reduce pressure within the discs to relocate it in a non-offending position. Advanced neurological Rehabilitation procedures can improve a players balance, rhythm and tempo, which in turn will improve their golf swing. 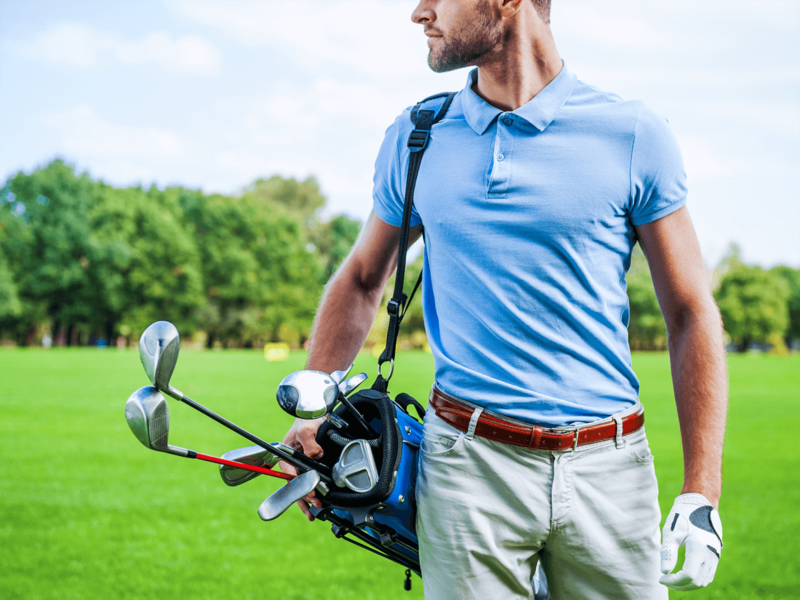 As we grow older, keeping an active lifestyle is more important than ever and you don’t have to be a pro golfer to benefit from chiropractic care.